Have you visited the Specials/ Sale page yet? 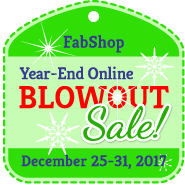 These low prices are only good through the end of the year. Once the clock strikes midnight and 2018 begins, these prices disappear. Selected items - $6/yd quilting cottons, $1.50 Fat Quarters, and $6 patterns! Classes will begin in February! See our website for class information. 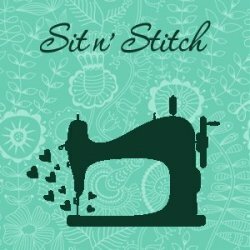 Sit n' Stitch begins Jan 18th.